WASHINGTON -- U.S. Rep. Chellie Pingree is urging the U.S. Department of Health and Human Services to block a plan by Gov. 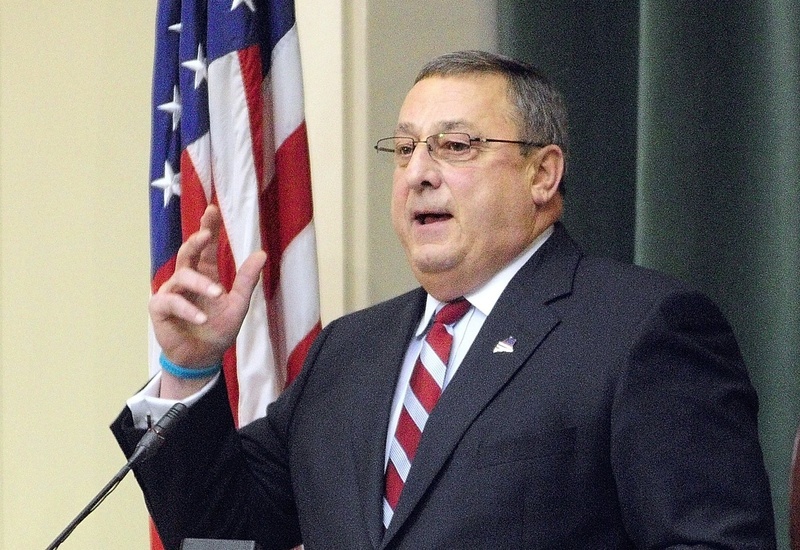 Paul LePage to save money by dropping an estimated 27,000 low-income Mainers from the state's Medicaid rolls. WASHINGTON — U.S. Rep. Chellie Pingree is urging the U.S. Department of Health and Human Services to block a plan by Gov. Paul LePage to save money by dropping an estimated 27,000 low-income Mainers from the state’s Medicaid rolls. But the Republican governor bristled at the request Tuesday, accusing Pingree, a Democrat, of “putting her ideological views ahead of the Maine people.” And other members of Maine’s congressional delegation suggested that they should be working with — not against — the state to address the costly Medicaid issue. “It is highly unusual for a member of the Maine delegation, regardless of political affiliation, to urge a federal agency to act completely contrary to a request from a Maine governor that has the support of the State Legislature,” said Sen. Susan Collins, R-Maine. The Medicaid issue is yet the latest political and potentially legal skirmish over Maine’s implementation of the Affordable Care Act, President Barack Obama’s health reform law. In a letter Monday to DHHS Secretary Kathleen Sebelius, Pingree asks the agency to reaffirm rules in the health care law that prohibit states from making deep cuts in their Medicaid programs without first receiving a waiver. The waiver issue has been simmering in Maine for months, since LePage and GOP lawmakers changed the eligibility requirements for MaineCare — the state’s Medicaid program — as a way to balance the budget, upsetting many Democratic lawmakers. Despite strong Democratic opposition, Republicans voted to eliminate Medicaid coverage for seniors and people with disabilities in the Medicare Savings Program, 19- and 20-year olds, and parents with incomes between 100 percent and 133 percent of the federal poverty level. Such cuts previously required a so-called “maintenance of effort” waiver from the federal government — something no state has obtained. And federal officials made clear last winter that Maine’s request would face long odds because the program was being scaled back for budgetary reasons. Now, the LePage administration has indicated that it believes the recent Supreme Court ruling nullifies the waiver requirement. DHHS has yet to advise states on whether the waivers are still needed. Pingree contends, however, that the court ruling never touched upon the waivers. She urged Sebelius to say so. 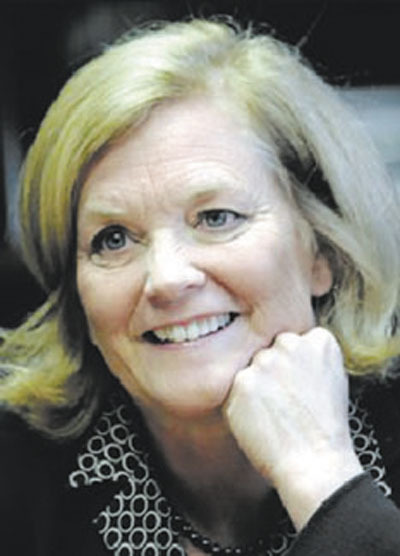 Pingree is married to financier S. Donald Sussman, a contributor to Democratic and charitable causes and the majority share owner of MaineToday Media, which owns The Portland Press Herald/Maine Sunday Telegram, the Kennebec Journal in Augusta, the Morning Sentinel in Waterville and other media outlets in Maine. Responses to Pingree’s request ran the gamut. In a written statement, LePage accused Pingree of supporting Obama’s health care law at the expense of Mainers. LePage’s spokeswoman, Adrienne Bennett, was more nuanced — and less inflammatory — in an interview. Echoing earlier guidance from Maine Attorney General William Schneider, Bennett said the administration believes that Maine would not need to seek a waiver. That’s because the maintenance of effort waiver constitutes an expansion of Medicaid, according to LePage’s and Schneider’s interpretation of the Supreme Court ruling. Instead, the state will file an amendment to its Medicaid plan with DHHS within several weeks, a process perceived as posing a lower threshold to federal approval. “If the federal agency does not approve the application, the state may then seek further redress in the courts,” Schneider said in a statement. But state Rep. Sharon Treat, a Hallowell Democrat who co-chaired a recent state task force on health care reform, said the Supreme Court never addressed the waiver issue. And she accused LePage and Schneider of engaging in “legal gymnastics” in an effort to eliminate MaineCare coverage for thousands of vulnerable individuals. “I think it is a good thing that the congresswoman has written the letter because, once again, this has to be made clear to our governor and attorney general,” Treat said. Other members of Maine’s congressional delegation were not as praiseworthy of Pingree’s letter. Maine’s two Republican senators, Collins and Sen. Olympia Snowe, appeared to disagree with their colleague’s approach. Snowe called MaineCare a vital source of health care coverage for thousands of Mainers.